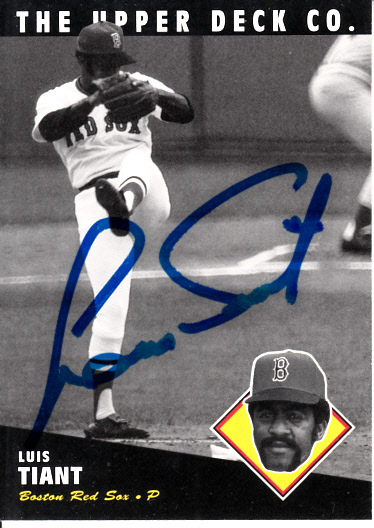 1994 Upper Deck All-Time Heroes card autographed in blue marker by legendary Boston Red Sox ace pitcher Luis Tiant. Witnessed and authenticated by MLB with their numbered hologram on the back. With certificate of authenticity from AutographsForSale.com. ONLY ONE AVAILABLE FOR SALE.